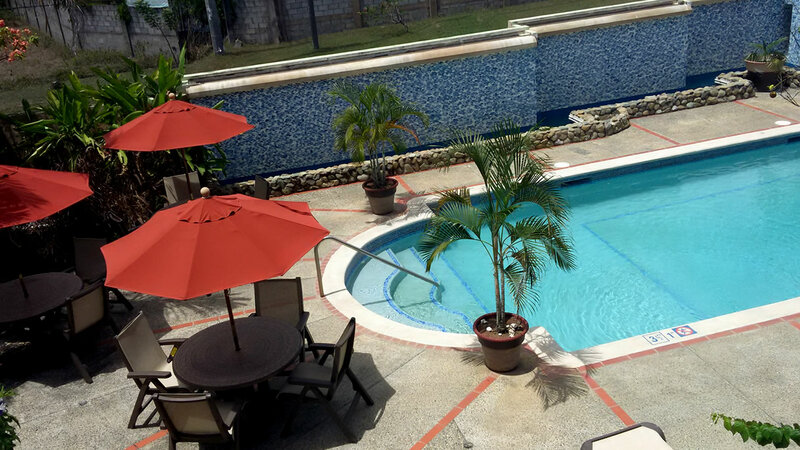 Enchanted Waters is a 10-room hotel just a 1 minute drive from Tobago's beautiful beaches and a 10 minute drive from the airport/ferry service. 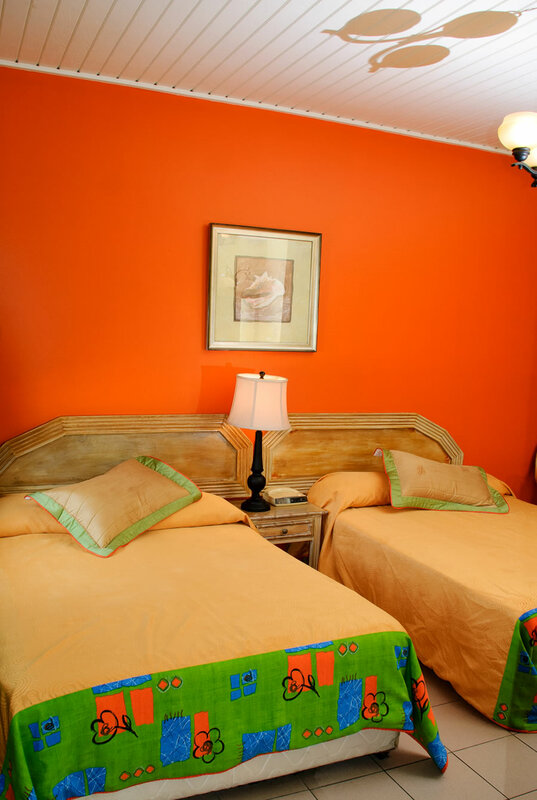 Our eight (8) Standard Suites are equipped with two (2) double sized beds, a t.v., a convenient kitchenette, a bathroom facility and a private balcony/patio among other amenities. 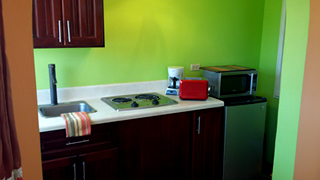 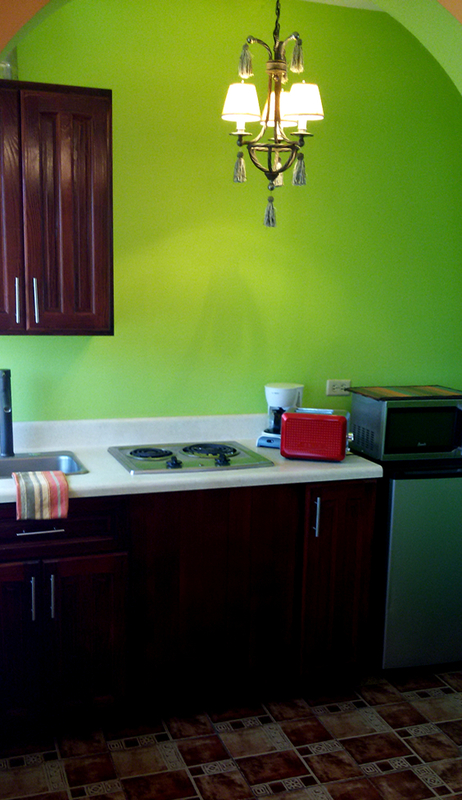 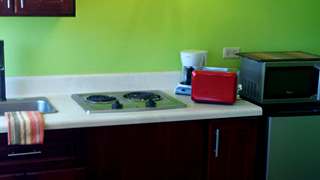 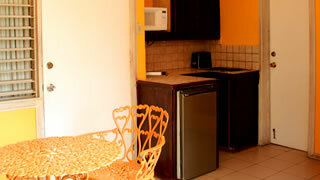 The balcony has a convenient kitchenette providing everything you need to create a snack or cook a meal. 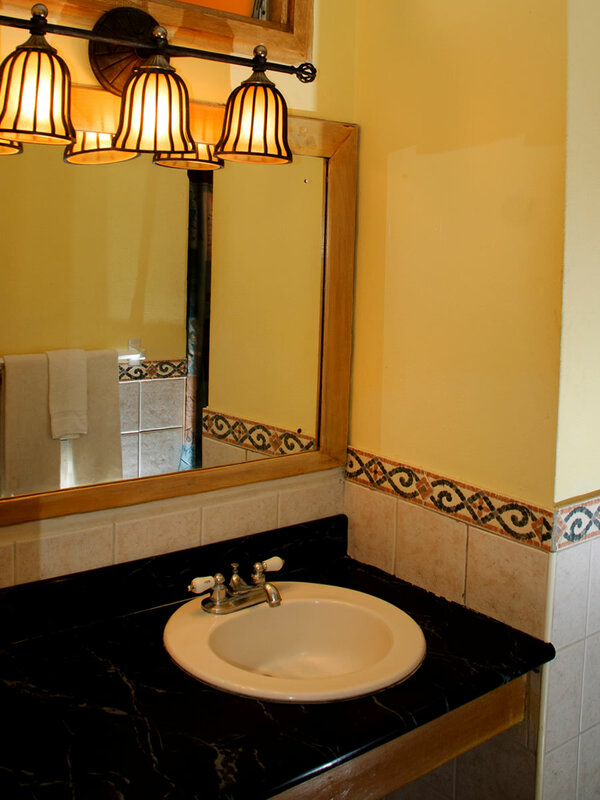 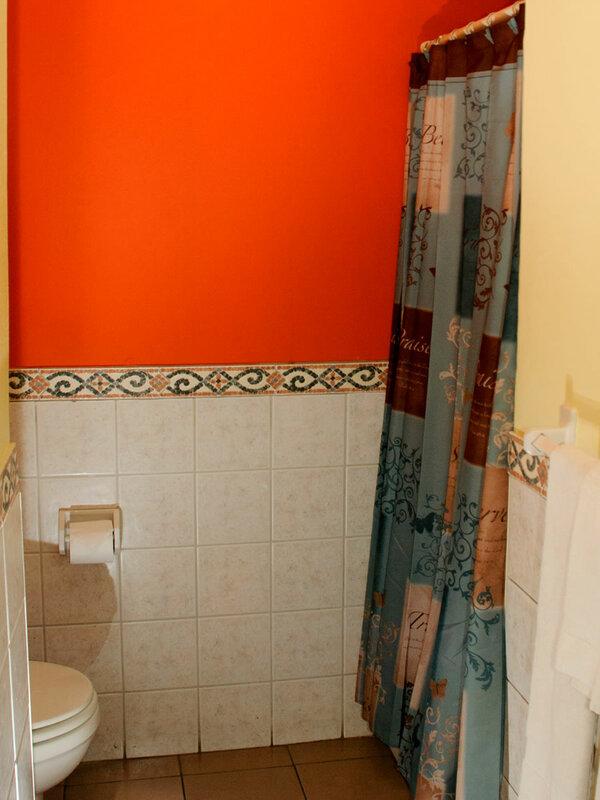 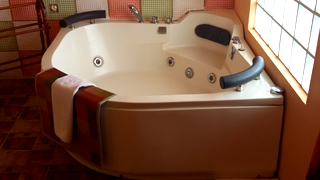 Our two (2) Jacuzzi Suites are equipped with one (1) king sized bed, a flat screen t.v., a convenient kitchenette, a romantic Jacuzzi and a sleek bathroom facility among other amenities. 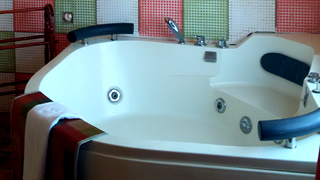 Our Jacuzzi Suites provide a perfect romantic setting. 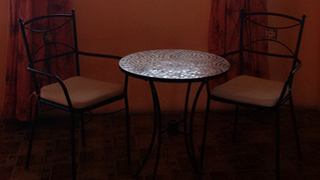 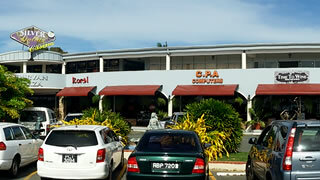 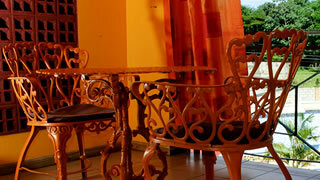 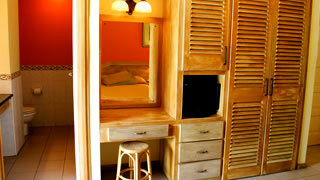 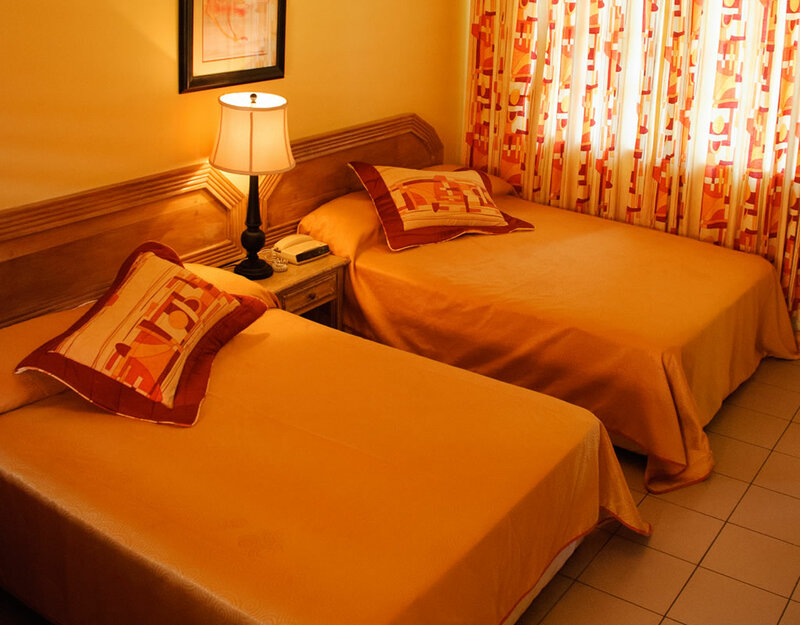 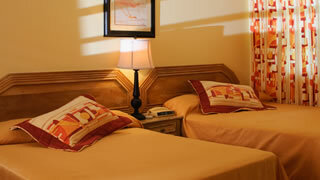 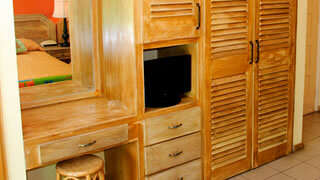 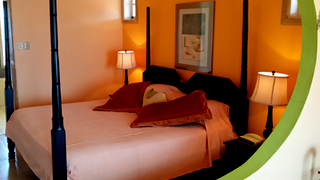 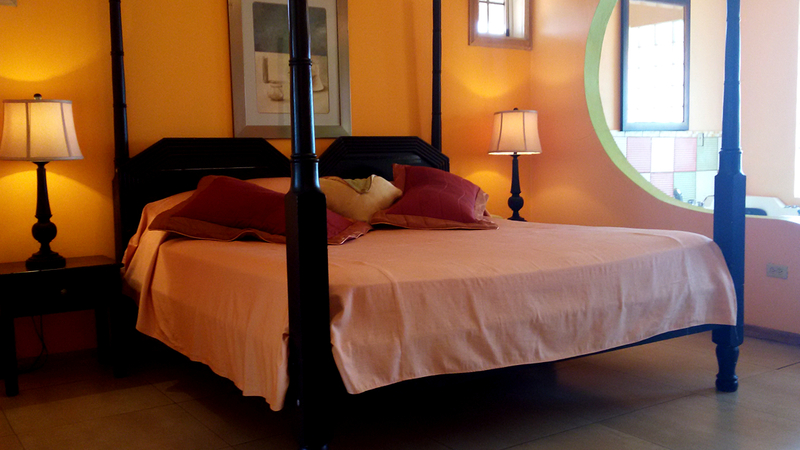 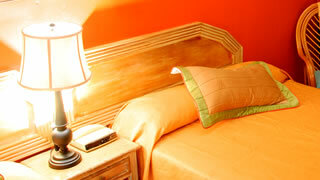 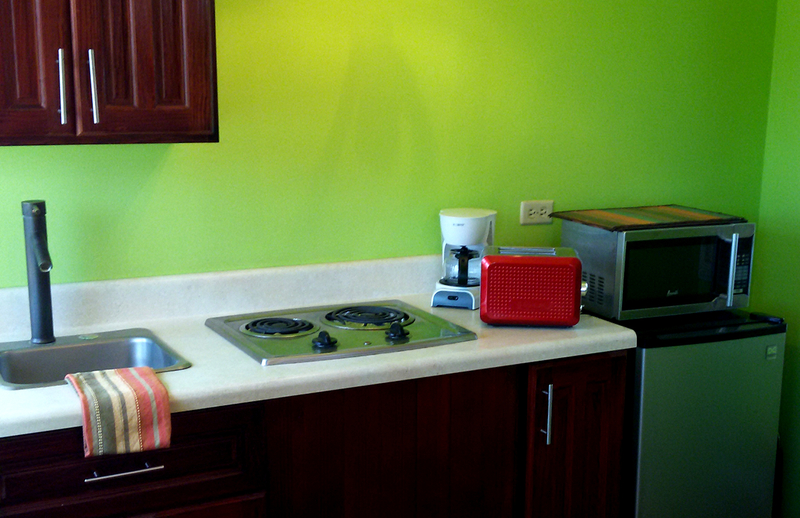 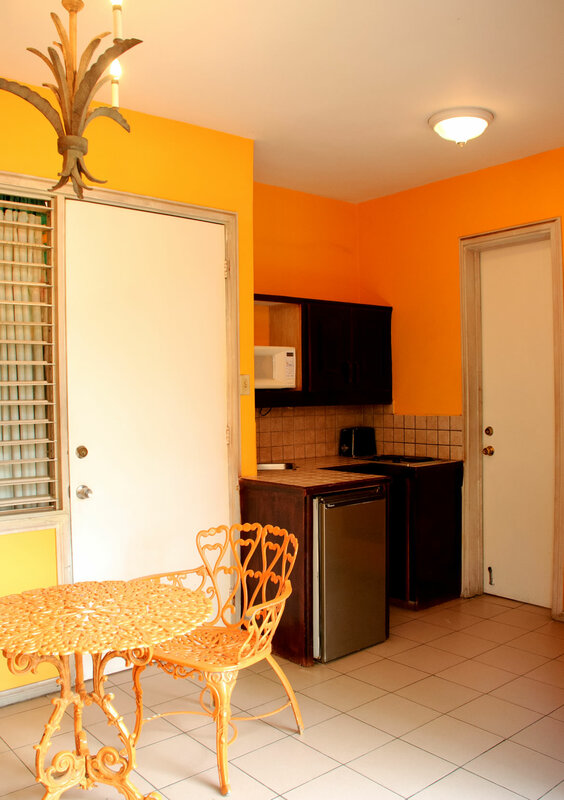 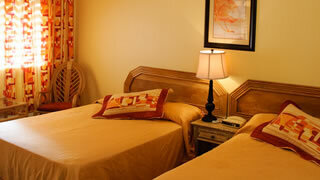 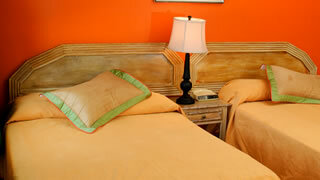 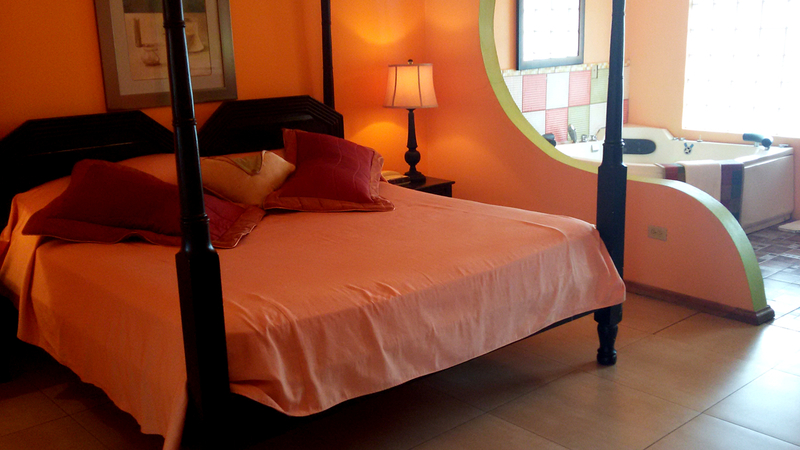 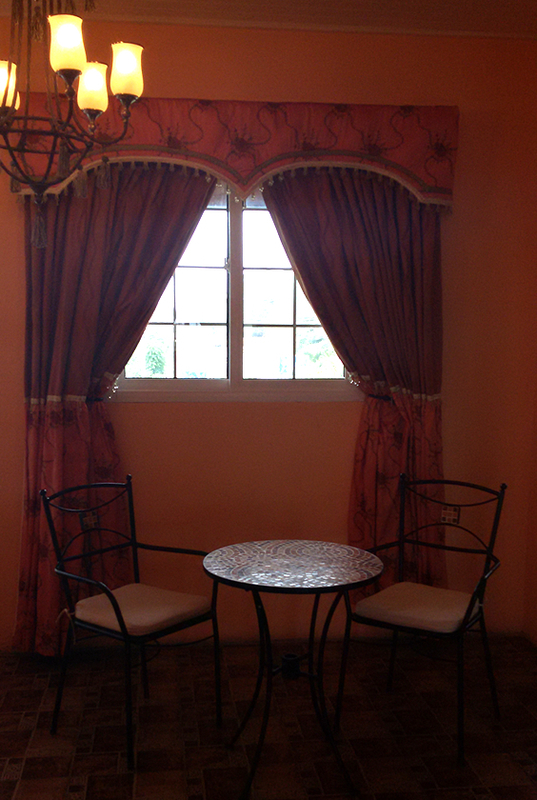 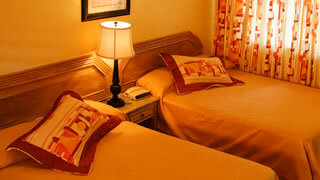 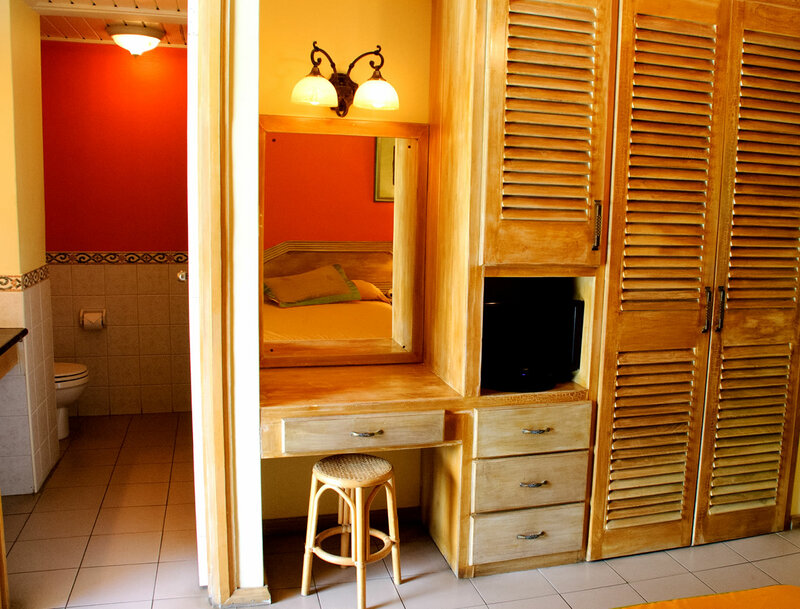 Our air-conditioned suites are charmingly tropical and equipped with cable TV, wireless internet and comfortable beds. 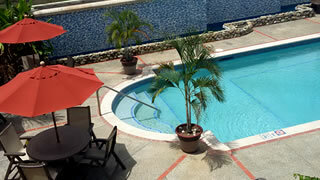 All suites open toward our elegant courtyard featuring a large swimming pool, lush tropical landscaping and a unique 75 ft. wide wall waterfall. 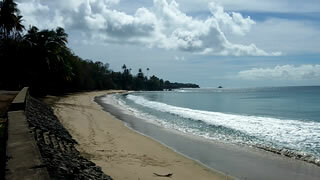 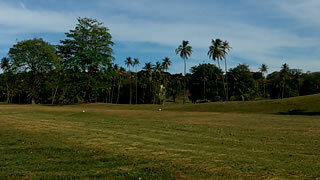 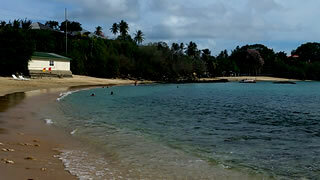 Come experience the warmth of Enchanted Waters and see for yourself why we are called "The Oasis Of Tobago". 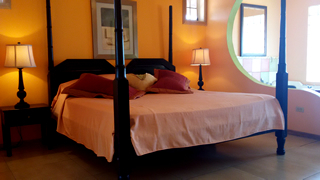 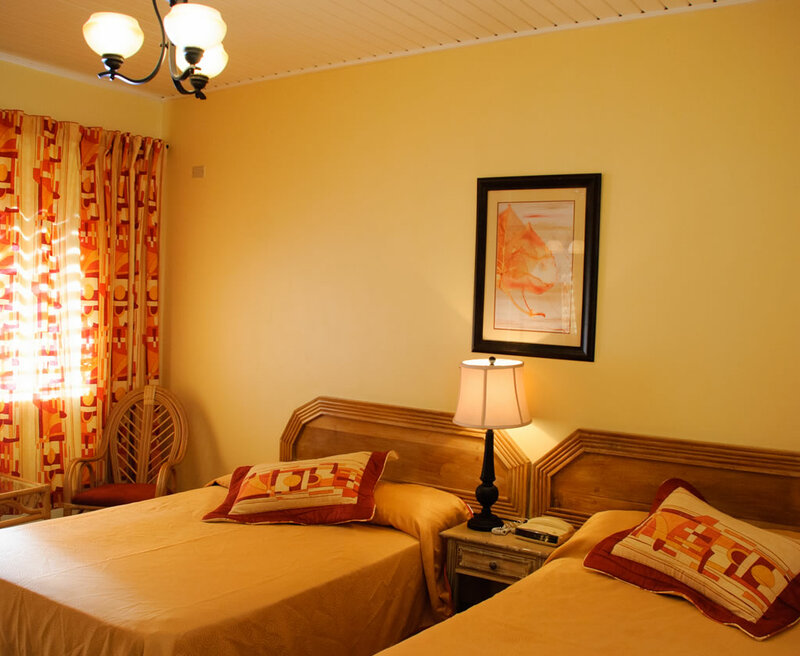 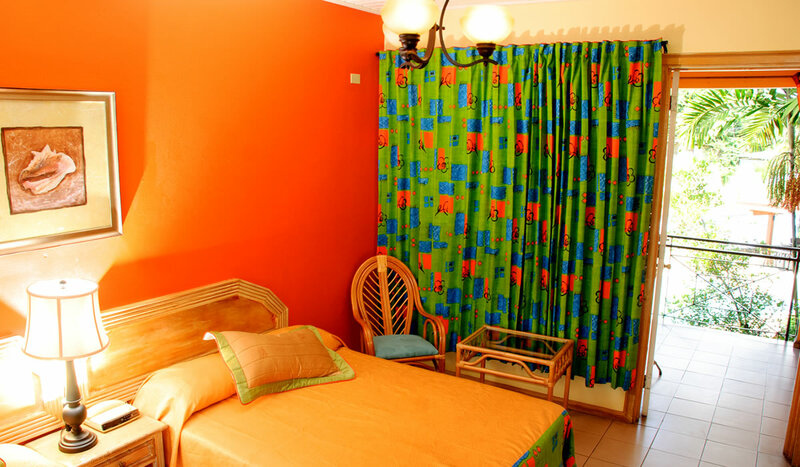 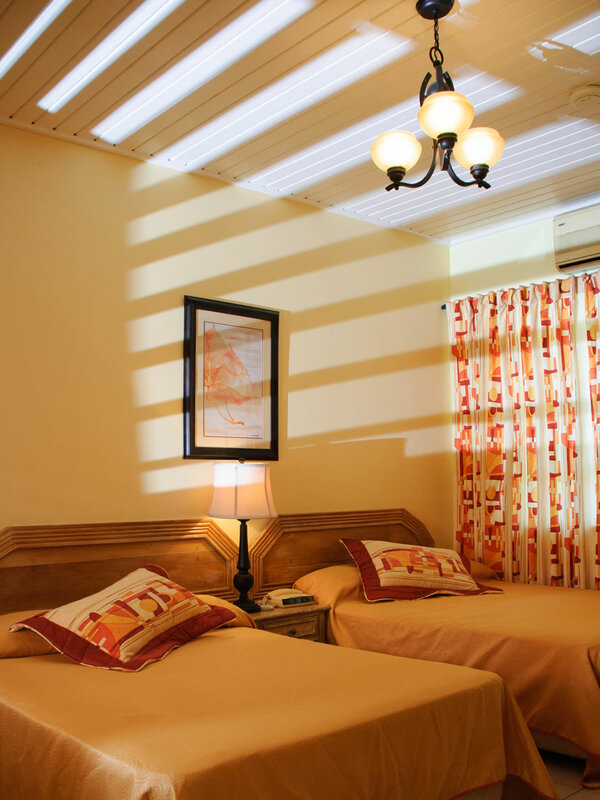 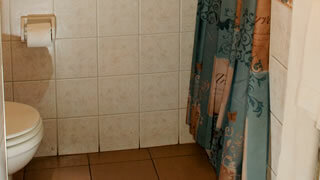 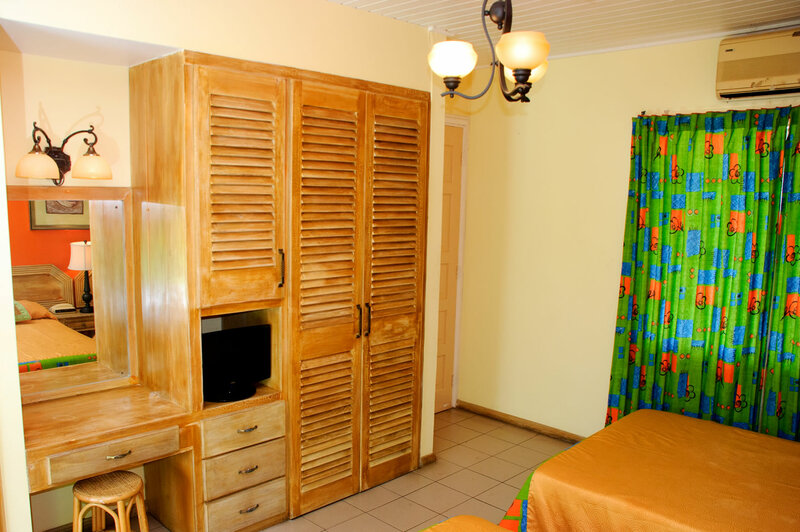 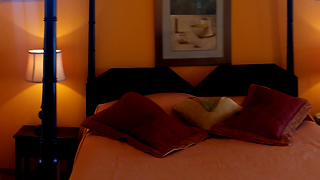 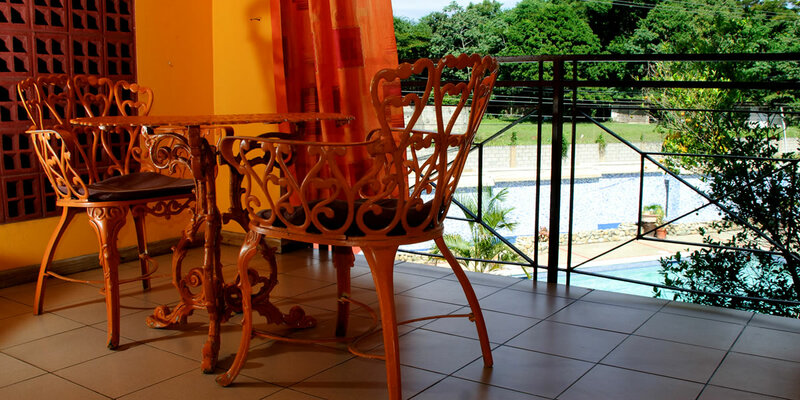 Our Standard Suites hold a maximum of four (4) guests each. 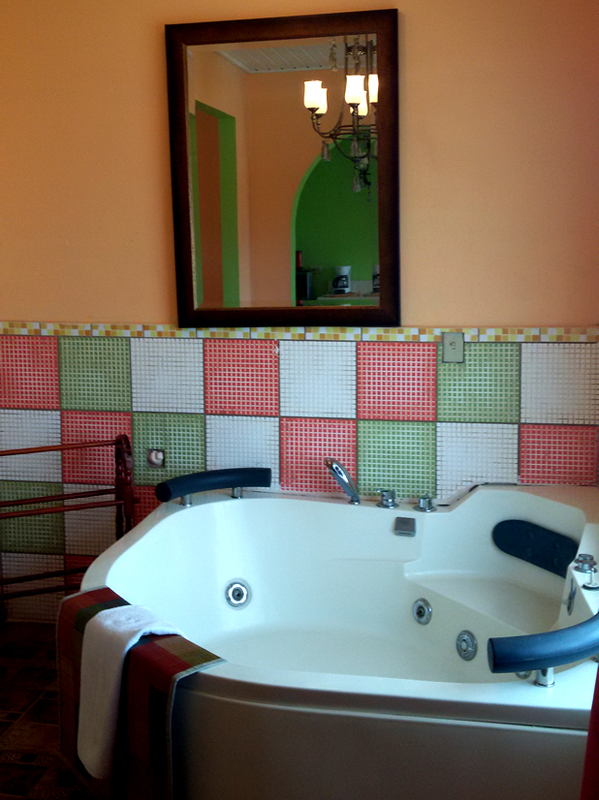 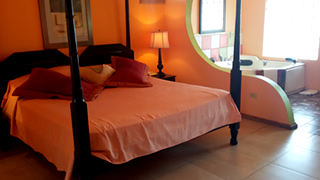 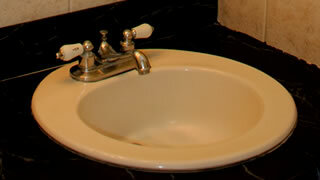 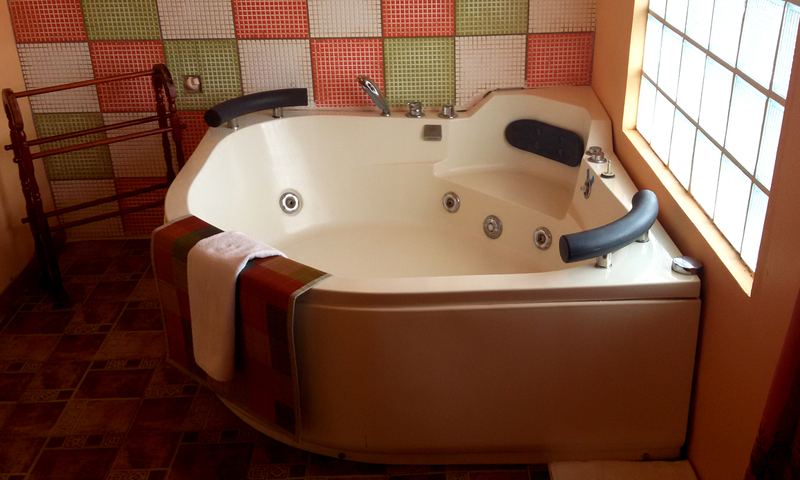 Our Jacuzzi Suites hold a maximum of two (2) guests each.